See the Introduction for a good summary with pictures of the many events that made the 95-96 school year spectacular, from the 8th graders picking pumpkins to the first issue of Marshall's Magazine, visiting Altin Park on Alternative Education Day and listening to the Bilkent Band, and getting ready to trick or treat on the roadtrip bus! More fine candid photos are strewn throughout, so don't miss any!!! And of course, Senior baby pix and candids are here, and Superlatives are here. 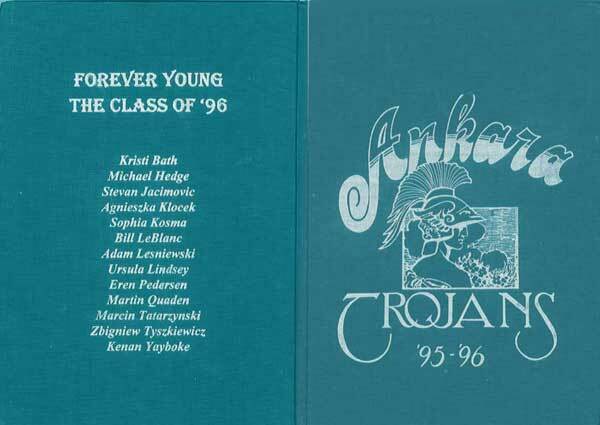 Our gratitude goes out once again to Ms. Patricia Ülkü for sharing her collection of yearbooks with us - çok, çok teşekkur ederim, Ms. Ülkü! 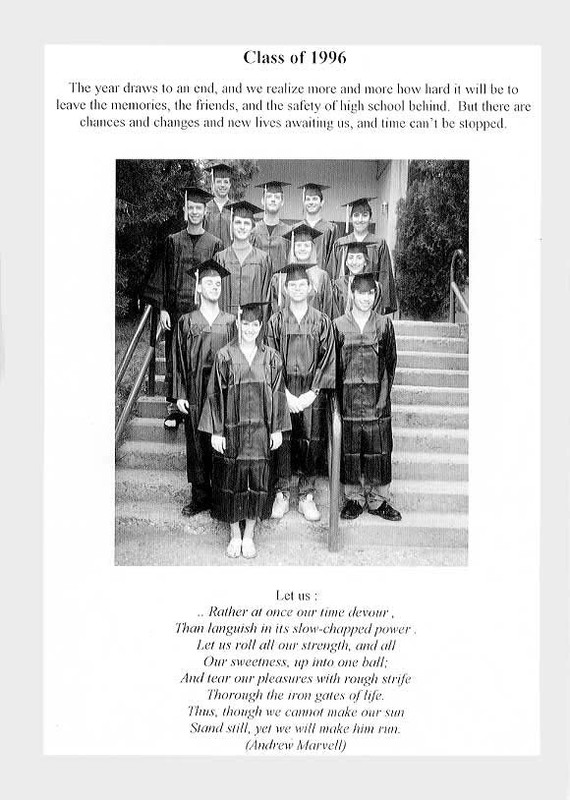 Also, "teş beş" to the yearbook staff who did such a fine job putting this big color and black-and-white book together. We are so glad they did!